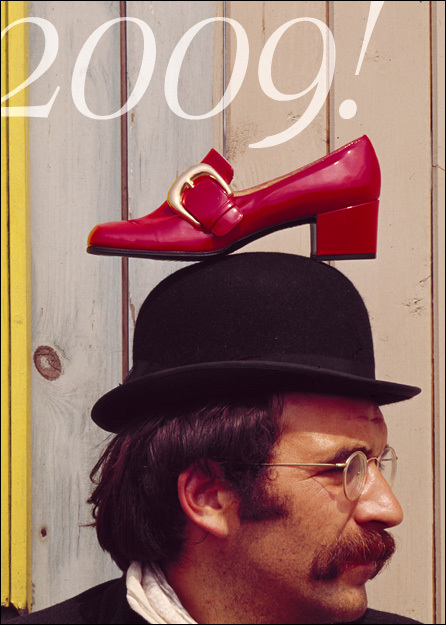 The shoe is from Charles Jordan, a prop I used for what was a personal creative shot in the seventies. The model was the actor John Grillo. The location was a builders hoarding on the South Bank in London. Today's New York Times carries a story about the demise of Polaroid accompanied by a slide show from the book 'Found Polaroids'. The article mentions a project from the early seventies when Polaroid launched the SX-70 and gave cameras plus a generous stock of film to a group of photographers and published the resulting images in a limited edition boxed set. Particularly striking shots were submitted by Christian Vogt, Pete Turner and Helmut Newton. My contribution to the project - and the only in-camera montage in the series - is shown below. This boxed set was not the only promotional project organised by polaroid. There was also a calendar called 'Four Season' in 1976 which features one of my images for the month of May. The limited edition boxed set of twelve prints for the SX-70 called '12 Instant Images - The SX-70 Experience' was repeated for another Polaroid product, '12 Instant Images - Type 105 Positive/Negative film'. Collectors should keep an eye out for it especially for the excellent contributions by Ansel Adams, Sarah Moon and Jeanloup Sieff. Each boxed set was limited to a production run of 1,000 and in both cases the first 50 sets were signed by all the photographers. 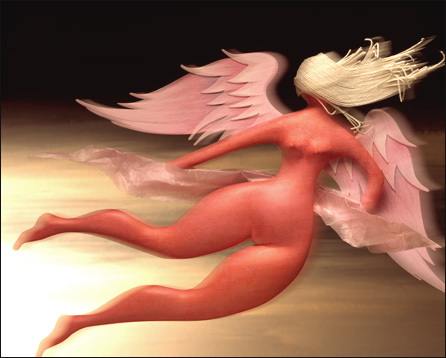 For an interesting (not least of all from a multi-cultural perspective) definition of angels; see this link. This week Heath Ledger, the Australian actor who died in January, was honoured with a supreme award by the Australian Film Institute for his brilliant performance as the Joker in the Batman movie, The Dark Knight. This reminded me of a happy meeting I had with him in early 2004 when he visited the set in Sydney where I was doing a fashion shoot with Naomi Watts for Harper's Bazaar. Instead of merely spectating he asked if he may work the wind machine. I doubt if he had ever operated one before but he quickly got the hang of it and turned the occasion into a humorous performance that had us all in stitches. What a very special human being he was. This is one of the pictures I took on that day. You are currently browsing the Sam Haskins Blog blog archives for December, 2008.